A new archaeological excavation at the south of the Temple Mount in Jerusalem has just barely uncovered an 8th century seal impression that might have belonged to the biblical prophet Isaiah, revered by Nephi and other Book of Mormon prophets. The words “belonging to Isaiah” take up the first readable line on the seal impression. The second line contains only a partial word, with the paleo-Hebrew letters for N-B-Y. Depending on what the missing letters are, this second line could potentially be spelling the word in Hebrew for “prophet”. 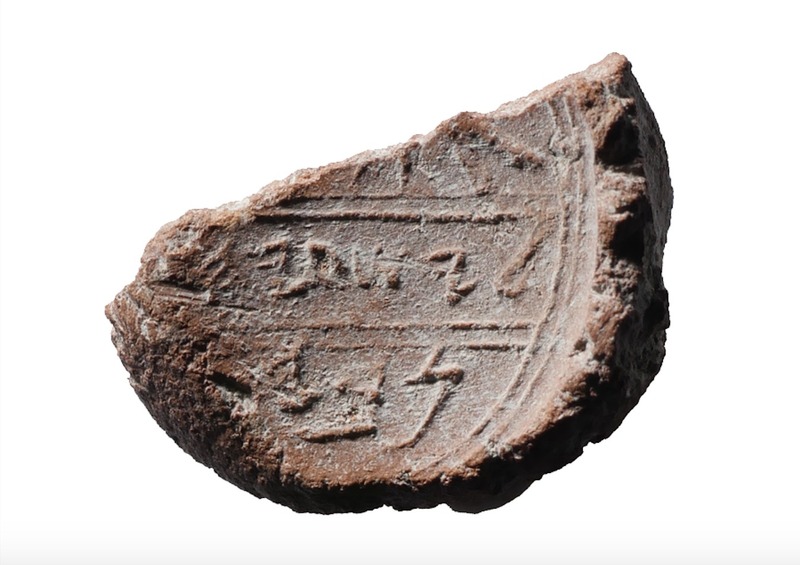 If this seal impression does indeed say “belonging to Isaiah the prophet,” then this would almost certainly belong to the actual 8th century prophet as described in the Old Testament. With that said, there is no way to know for sure what those missing letters are, so we can’t be sure that this is the Isaiah. What we can know with certainty, is that an Isaiah existed in Jerusalem at the time of Isaiah the prophet. The Ophel excavations at the foot of the southern wall of the Temple Mount in Jerusalem. Image via Times of Israel. Respected Hebrew University archaeologist Dr. Eilat Mazar and her team found this remarkable find while excavating just south of Jerusalem’s Temple Mount, in an area called The Ophel. What Does This Mean for the Book of Mormon? Isaiah is the most quoted prophet in the Book of Mormon.5 Nephi used Isaiah all over his writings, and said, “my soul delighteth in [Isaiah’s] words.” (2 Nephi 11:2). Nephi quotes Isaiah for a whopping 13 chapters straight in 2 Nephi 12–24, and continues to quote and refer to him throughout the small plates. Nephi is not the only one who uses Isaiah. Abinadi quotes several chapters of Isaiah in his trial before King Noah (Mosiah 12–15) when Noah’s priests quiz him, and to teach about the Atonement of Jesus Christ. Most significantly, Jesus Christ himself praises Isaiah in 3 Nephi when he says, “great are the words of Isaiah” (3 Nephi 23:1). You can read about why Jesus said this in this KnoWhy. Clearly, Isaiah is a very prominent figure in Book of Mormon writings, and was revered for his powerful prophecies. This new discovery possibly adds further credibility to the Book of Mormon. If the prophet Isaiah truly existed, and wrote in the late 8th century B.C., it supports the Book of Mormon’s heavy dependence on Isaiah’s writings. While there is no way to know for sure if this definitively proves the existence of the prophet Isaiah, it certainly brings us a lot closer. 6. Mazar, “Is This the Prophet Isaiah’s Signature?”, 73. Emphasis added.